Green tea has numerous benefits in almost all aspects of skin care. The main active ingredient, EGCG, is a potent antioxidant, and protects skin from UV damage. This results in reduced wrinkling, increased collagen content, smoother skin, thicker and more elastic epidermis and other visual benefits. Green tea also helps to moisturize the skin and improves the long-term barrier capabilities. Among the numerous clinical benefits are antibacterial and antifungal effects, which make green tea useful in wound care. Most important health effect is the prevention of melanoma and other types of skin cancer, resulting partly from the EGCG capability to neutralize free radicals and activate DNA repair. Since the extract also reduces inflammation and sebum secretion, it is an effective treatment against acne. Finally, green tea has also been proven to reduce hair loss and follicle death. Active ingredient in Teamine™ and ReVive™ lines. NOTE: To assist you with solubility issues, we now also sell Green Tea EGCG in a standardized, pre-dissolved solution. Just add the liquid to your cream and mix well. 11% solution gives 1% EGCG content in final product. 33% solution gives 3% EGCG content in final product. 54% solution gives 5% EGCG content in final product. Green tea usage in skincare is the focus of many researchers. During the preparation of the leaves, certain enzymes are inactivated by heat and this helps to preserve the polyphenols. 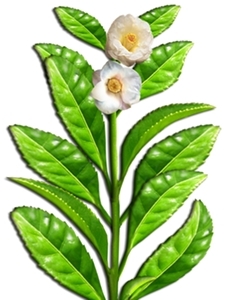 Among these, epigallocatechin-3-gallate (EGCG) is the most abundant, and it is responsible for most of the health benefits of the green tea extract . Polyphenols are potent antioxidants, so the early research was focused on this and UV-protective effects. However, later studies found that green tea is useful in treating wounds, preventing skin ageing, managing acne, hair loss, even fighting cancer, psoriasis, dermatitis and other skin diseases . An interesting fact is that when applied dermally, green tea extract does not show any toxic effects, while high oral doses can be dangerous . Concerning UV exposure, the cosmetical and pharmaceutical benefits of green tea applications are well-researched. EGCG protects the skin from reddening, DNA damage and even cell death following UV exposure . The strong antioxidants found in green tea neutralize free radicals. This helps to prevent various aspects of radiation damage, and most importantly cancer . Reduced inflammation and improved DNA repair capabilities help to prevent melanoma formation . UV radiation also causes thinning of the epidermis, while application of EGCG restores the thickness . Recent research also indicates that tea extracts decrease melanin accumulation, so they could be used as skin lightening agents . Addition of vitamin C or alpha-lipoic acid improve the stability of EGCG, thus producing even stronger antioxidative effect . Furthermore, green tea extract helps to maintain the barrier function of the skin. Even a single application of emulsion containing 20 % of this extract significantly improved hydration of the skin. After a 5-day course of treatment, the water loss through volunteer skin epidermis was found to be significantly reduced, indicating that skin barrier function improved . After longer application (30 days), a cream with 6 % green tea extract was found to improve the elasticity of the skin, indicating that the hydrating effect reached deeper layers of the skin as well. Skin appearance was also improved, judging by decreased roughness, and the barrier-maintaining effect was confirmed . In yet another clinical trial, where green tea was formulated with lotus extract, a 50 % improvement in skin roughness and reduced amount of wrinkles were observed . Skin dryness is characteristic of UV-aged skin. Tea extract relieves this condition, and also reduces wrinkling of such skin by increasing the amount of collagen . Recently it was discovered that green tea extract can be used as an acne treatment. This condition is characterized by redness, inflammation and increased sebum production, all of which were successfully reduced after 2 months of green tea extract application . However, this extract treats not only the symptoms, but the underlying cause as well – it effectively kills Propionibacterium acnes, the bacteria responsible for this disorder . This antibacterial effect is also very useful in wound care. Surprisingly, both EGCG and green tea extract can combat bacteria that are resistant to most currently used antibiotics . Fungal parasites of the skin are also sensitive to EGCG . Even wounds infected with methicillin-resistant Staphylococcus aureus (MRSA) have been successfully treated by dermal application of EGCG . The healing processes of non-infected wounds are aided as well, especially the regrowth of blood vessels . This effect is of particular interest to diabetes patients, as this disease impairs normal healing and ulcers form frequently. However, green tea extract, together with alpha lipoic acid, has been shown to restore wound healing in diabetic mouse skin . General blood vessel health is also promoted by the green tea extract. A cream containing 2.5 % EGCG was found to help regulate capillary growth signals and prevent telangiectasia (“spider veins”) . Finally, even hair loss can be countered by applying EGCG, as it reduces follicle death resulting from testosterone and other signals , . "EGCG, a prime component of green tea, provides broad-spectrum protection against UV light-induced DNA damage and immune system dysfunction of the skin. Topical green tea extract is exceptional in preventing the inflammation and oxidative stress associated with UV light-induced skin damage. As a result, scientists believe green tea may help prevent skin cancers that commonly result from exposure to the sun's radiation." Steven V. Joyal, MD,' The Sunscreen Paradox - Popular Misconceptions About Skin Cancer Prevention'. LE Magazine June 2006. "Numerous studies have shown that topical application of green tea confers broad-spectrum protection against photodamage, one of the leading causes of visibly aged skin. Polyphenols from green tea leaves have been found to protect against the adverse effects of overexposure to ultraviolet light"
Dave Tuttle, 'Scientifically Advanced Skin Care', LE Magazine January 2007. NOTE: To assist you with solubility issues, we now also sell Green Tea EGCG in a standardized pre-dissolved solution. Just add the liquid to your cream and mix well. S. Hsu, “Green tea and the skin,” J. Am. Acad. Dermatol., vol. 52, no. 6, pp. 1049–1059, Jun. 2005. N. Pazyar, A. Feily, and A. Kazerouni, “Green tea in dermatology,” Skinmed, vol. 10, no. 6, pp. 352–355, Dec. 2012. P. OyetakinWhite, H. Tribout, and E. Baron, “Protective mechanisms of green tea polyphenols in skin,” Oxid. Med. Cell. Longev., vol. 2012, p. 560682, 2012. C. A. Elmets, D. Singh, K. Tubesing, M. Matsui, S. Katiyar, and H. Mukhtar, “Cutaneous photoprotection from ultraviolet injury by green tea polyphenols,” J. Am. Acad. Dermatol., vol. 44, no. 3, pp. 425–432, Mar. 2001. S.-Y. Kim, D.-S. Kim, S.-B. Kwon, E.-S. Park, C.-H. Huh, S.-W. Youn, S.-W. Kim, and K.-C. Park, “Protective effects of EGCG on UVB-induced damage in living skin equivalents,” Arch. Pharm. Res., vol. 28, no. 7, pp. 784–790, Jul. 2005. Y.-C. Kim, S.-Y. Choi, and E.-Y. Park, “Anti-melanogenic effect of black, green, and white tea extracts in immortalized melanocytes,” J. Vet. Sci., Jan. 2015. S. Scalia, N. Marchetti, and A. Bianchi, “Comparative evaluation of different co-antioxidants on the photochemical- and functional-stability of epigallocatechin-3-gallate in topical creams exposed to simulated sunlight,” Mol. Basel Switz., vol. 18, no. 1, pp. 574–587, 2013. E. A. Yapar, O. Ynal, and M. S. Erdal, “Design and in vivo evaluation of emulgel formulations including green tea extract and rose oil,” Acta Pharm. Zagreb Croat., vol. 63, no. 4, pp. 531–544, Dec. 2013. M. D. Gianeti, D. G. Mercurio, and P. M. B. G. Maia Campos, “The use of green tea extract in cosmetic formulations: not only an antioxidant active ingredient,” Dermatol. Ther., vol. 26, no. 3, pp. 267–271, May 2013. T. Mahmood and N. Akhtar, “Combined topical application of lotus and green tea improves facial skin surface parameters,” Rejuvenation Res., vol. 16, no. 2, pp. 91–97, Apr. 2013. K. O. Lee, S. N. Kim, and Y. C. Kim, “Anti-wrinkle Effects of Water Extracts of Teas in Hairless Mouse,” Toxicol. Res., vol. 30, no. 4, pp. 283–289, Dec. 2014. T. Mahmood, N. Akhtar, and C. Moldovan, “A comparison of the effects of topical green tea and lotus on facial sebum control in healthy humans,” Hippokratia, vol. 17, no. 1, pp. 64–67, Jan. 2013. J. Y. Yoon, H. H. Kwon, S. U. Min, D. M. Thiboutot, and D. H. Suh, “Epigallocatechin-3-gallate improves acne in humans by modulating intracellular molecular targets and inhibiting P. acnes,” J. Invest. Dermatol., vol. 133, no. 2, pp. 429–440, Feb. 2013. J. Jeon, J. H. Kim, C. K. Lee, C. H. Oh, and H. J. Song, “The Antimicrobial Activity of (-)-Epigallocatehin-3-Gallate and Green Tea Extracts against Pseudomonas aeruginosa and Escherichia coli Isolated from Skin Wounds,” Ann. Dermatol., vol. 26, no. 5, pp. 564–569, Oct. 2014. J. Steinmann, J. Buer, T. Pietschmann, and E. Steinmann, “Anti-infective properties of epigallocatechin-3-gallate (EGCG), a component of green tea,” Br. J. Pharmacol., vol. 168, no. 5, pp. 1059–1073, Mar. 2013. A. Gharib, Z. Faezizadeh, and M. Godarzee, “Therapeutic efficacy of epigallocatechin gallate-loaded nanoliposomes against burn wound infection by methicillin-resistant Staphylococcus aureus,” Skin Pharmacol. Physiol., vol. 26, no. 2, pp. 68–75, 2013. H.-L. Kim, J.-H. Lee, B. J. Kwon, M. H. Lee, D.-W. Han, S.-H. Hyon, and J.-C. Park, “Promotion of full-thickness wound healing using epigallocatechin-3-O-gallate/poly (lactic-co-glycolic acid) membrane as temporary wound dressing,” Artif. Organs, vol. 38, no. 5, pp. 411–417, May 2014. S.-A. Chen, H.-M. Chen, Y.-D. Yao, C.-F. Hung, C.-S. Tu, and Y.-J. Liang, “Topical treatment with anti-oxidants and Au nanoparticles promote healing of diabetic wound through receptor for advance glycation end-products,” Eur. J. Pharm. Sci. Off. J. Eur. Fed. Pharm. Sci., vol. 47, no. 5, pp. 875–883, Dec. 2012. D. S. Domingo, M. M. Camouse, A. H. Hsia, M. Matsui, D. Maes, N. L. Ward, K. D. Cooper, and E. D. Baron, “Anti-angiogenic effects of epigallocatechin-3-gallate in human skin,” Int. J. Clin. Exp. Pathol., vol. 3, no. 7, pp. 705–709, 2010. O. S. Kwon, J. H. Han, H. G. Yoo, J. H. Chung, K. H. Cho, H. C. Eun, and K. H. Kim, “Human hair growth enhancement in vitro by green tea epigallocatechin-3-gallate (EGCG),” Phytomedicine Int. J. Phytother. Phytopharm., vol. 14, no. 7–8, pp. 551–555, Aug. 2007.